Recently, ProsperWorks rebranded itself to Copper. 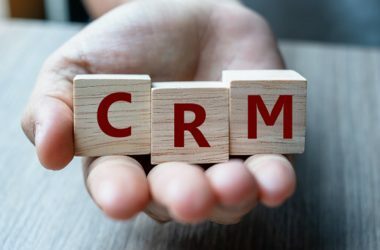 While the transformation is aimed to make CRM more productive and to make a long-term relationship, the core technology remains a powerful driving force for the company. 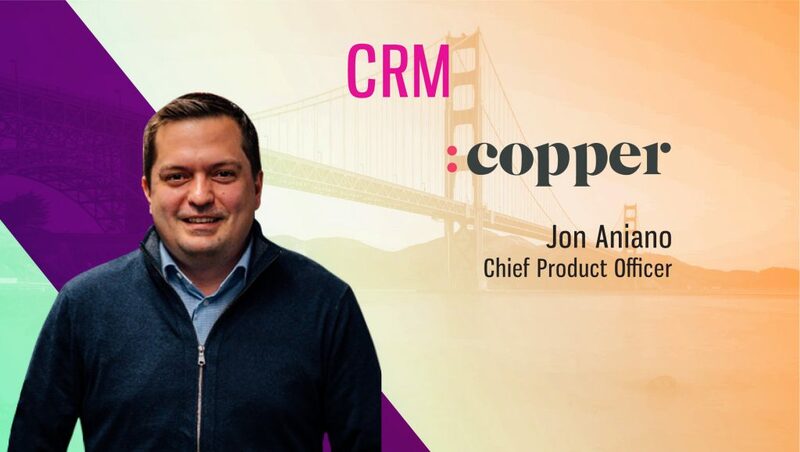 Jon Aniano, Chief Product Officer, Copper (formerly ProsperWorks) spoke to us about their CRM for G-suite and the core tenets of their martech offering. Tell us about your role at Copper and the team/technology you handle. I’m the Chief Product Officer at Copper. Technically, I own the product roadmap, vision, and execution on R&D initiatives. But, the way I view my role is that I am the Chief Defender of Customer Value. I make sure that the investments we make at Copper translate directly to customer success, better business outcomes for our customers, and a better life for CRM users all over the world. What are the core tenets driving your CRM technology? Copper is the CRM for you. Quite simply that means 3 things. 1) Zero Input CRM – we automatically ingest and process your emails, calendar events, productivity docs, calls, etc. so you’re not spending time inputting that into CRM. 2) Copper lives where you work, inside GSuite and your productivity apps. Copper shows up and delivers value right inside of Gmail, Docs, Sheets, Calendar and Google Hangouts. 3) We help you figure out what to do next. We don’t tell you that you had a meeting, we suggest when you should schedule the next meeting to build the best relationships with your customers. Traditional CRM was built for managers, not users. It was built for reporting, not relationships. We’ve changed all that. Tell us more about your CRM for G-suite? At Copper, we love Google and we’re really impressed with the way that Google built GSuite. They started with some really key principles around simplicity in design and user experience, and an intense focus on the problems to be solved and the jobs to be done. GSuite pioneered tools that support the way work is done in the new world of productivity. Employees today are much more likely to communicate and collaborate with their peers and their customers while they create documents, send emails, etc. and Google saw that future and built it right into the tools. This gave them a tremendous advantage vs existing productivity tools and that has translated to great success in the market. At Copper, we believe that productivity tools are the anchor of all business apps in the future. If you’re writing an email, creating a doc, or scheduling a meeting – you’re not doing that in isolation, there’s a business relationship or a customer on the other end. Why switch into another app to see that context? With Copper, we live in Gmail, we live in Google Calendar, Docs, Hangouts, etc. We work for you and bring the context directly into GSuite. We also believe in simplicity. When you sign up for Gsuite you’re up and running in minutes, well, the same is true for Copper. 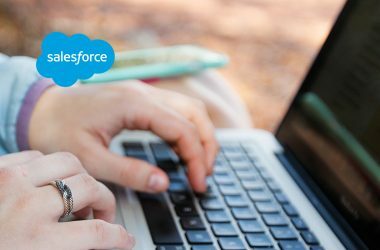 You can sign up for Copper and within 5 minutes your CRM is being populated with your activities, communications, customers and relationships. Traditional CRMs were built as standalone apps that live in their own silo and are used by a portion of the employees of the company. I think its clear that what we traditionally think of as CRM is blending directly into the world of Productivity. The standalone CRM app that doesn’t auto-ingest data or live inside of your productivity tools is fading away. We’re seeing a lot of smaller “apps/features” that tie into CRM like outbound sales tools, call recording, AI and voice tools, etc. that are adding a lot of value to the CRM experience. I think we’ll see these things get better integrated into the world of core CRM. 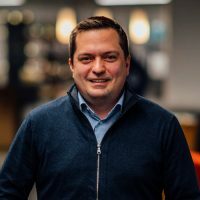 As for Marketing Automation, that space moves really really fast and we’ve seen some great companies with some great ideas, like LeanPlum who is just killing it with their mobile marketing and engagement platform. I think the intersection of consumer data, mobile, messaging apps, in-location experiences, etc. is creating problems for a lot of the traditional marketing automation players which is why you see a lot of smaller tech players jumping in to solve these problems, we’ll see those get closer to the core Marketing Automation suites over the next few years. 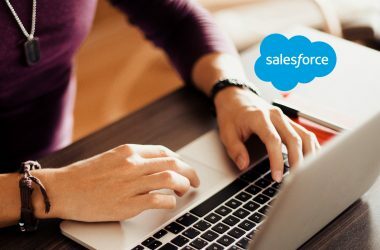 Which regulations are in place to defend CRM makers in a post-GDPR era? Look, I don’t really look for regulations to protect CRM makers. I think of regulations like GDPR as those that protect consumer privacy and give consumers more control and more power over their data. I believe companies should disclose how they collect consumer information and how they use that information. I think that’s fair and those regulations are there to protect consumers, not CRM makers. 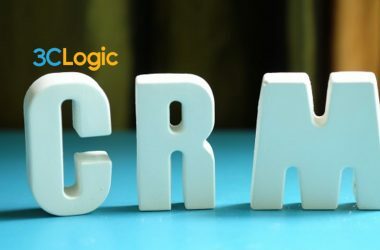 CRM makers are doing just fine, and we should be held accountable to operate responsibly. Thanks for chatting with us, Jon.